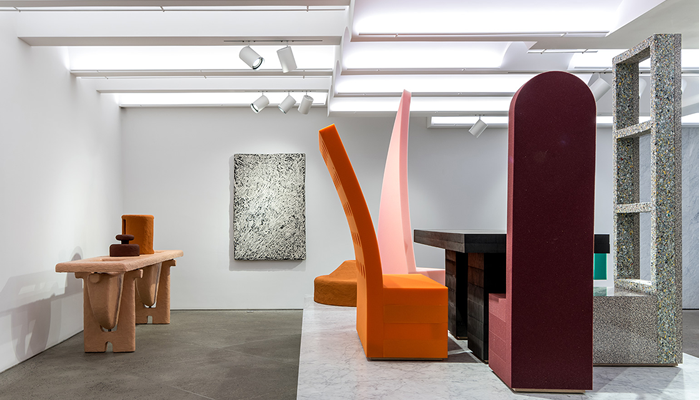 Until the 22nd of April, there is an exhibition in the Chamber Gallery, New York that includes a dining set, inspired by cartoon styles. “Domestic Appeal” has brought a lot of fun and colour into the gallery and the curator, Matylda Krykowski, has wanted to show us how “we are controlled by objects by how we use them”. 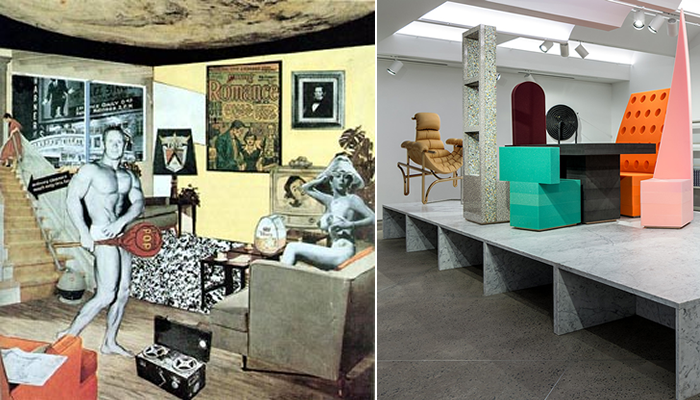 The exhibit is inspired and based around artist Richard Hamilton’s “Just what is it that makes today’s home so different, so appealing?”. The 1956 work was an unconventional piece for the post-war period and Hamilton embraced our desire for the “different”, a feeling that has remained over the last 60+ years as this exhibition portrays. 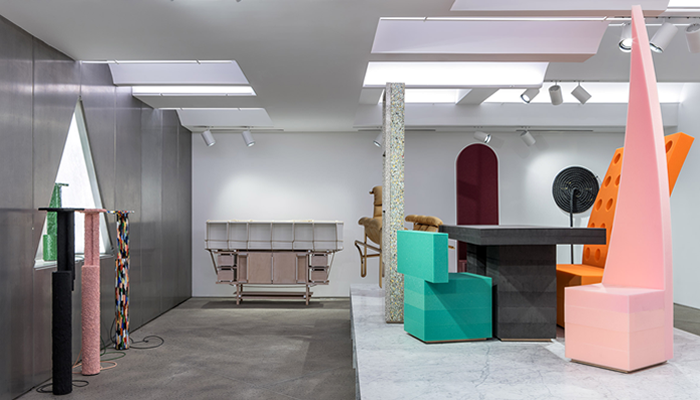 Although the dining furniture is only part of the entire exhibition, it is one of the centrepieces that is difficult to take your eyes off, due to the colours and shapes used. 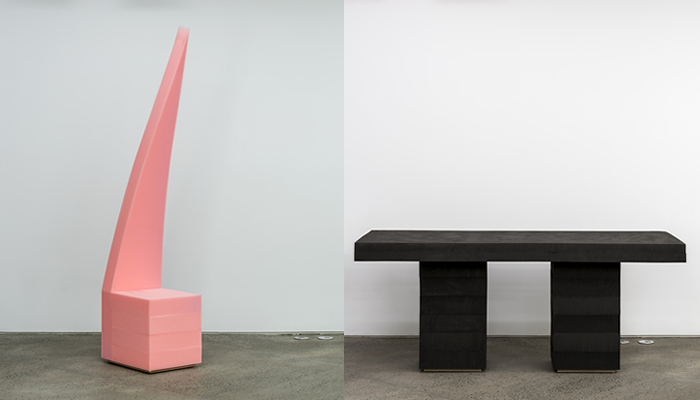 The cartoon-like chairs are all one of a kind and designed by Brooklyn Duo “Andy and Dave”. Wanting to create something that was fun, different and colourful, they also wanted to create a furniture range that would create your “own World” when used. The varying shapes and sizes of the dining chairs are all “interpretations of household items”, bringing simple materials and everyday objects into a setting that is extraordinary. Keeping to the “everyday” theme, the designers have used household materials such as foam to create the masterpieces. The Brooklyn designers have created dining furniture that represents how we like to do things differently, not only at home or at restaurants, but also in our cities where we are adapting to a modern World. The exhibition as a whole also shows that not much seems to have changed since the 1960s when it comes to desires and designs, as Hamilton suggested in 1956. This seems to be a theme that is becoming more apparent within the hospitality and design industry, with the revival of mid-century furniture that seems to have become more and more popular.